Handmade by Helga: Hurrah! Spring! Tulips! I congratulate you on the first day of spring! I love this season very much. There are special air, great mood and creative ideas in the spring! 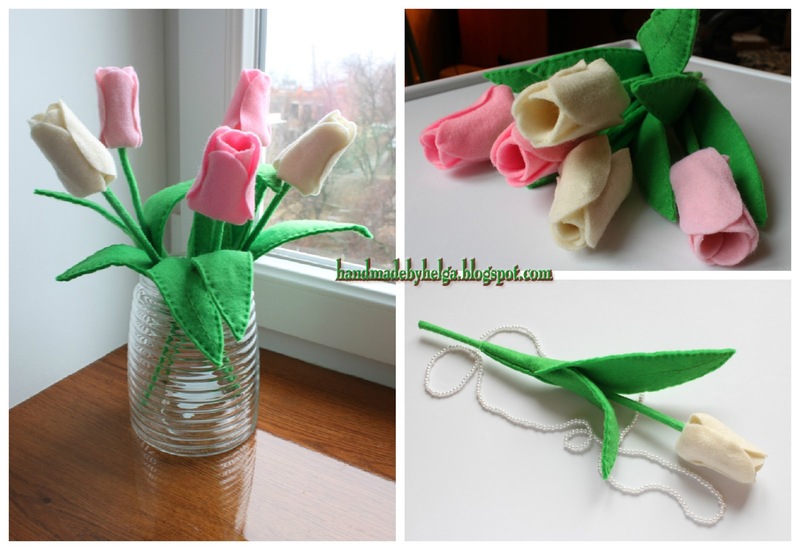 In honor of the first day of spring I want to show my felt tulips. I did them as a gift on birthday for my mother. I made a pattern. It wasn't so easy, because I wanted to make the realistic flowers. Thank you so much, Luciana! It so gorgeous! Could you share the tutorial? Please.. Sorry I don’t make tutorials now.